FAIRFIELD — After going 21-4 and losing in the Class S championship game last spring, Notre Dame-Fairfield coach Jeff Bevino would like nothing better for his Lancers to take the next step and bring home the state title. Bevino will have an impressive return core to build around, led junior catcher Michaela Luk, who batted .565 last season and knocked in 32 RBI and senior pitcher Madison Letizia, who posted a 17-3 record last season, along with also batting. 500. Letizia, along with shortstop Shelby Nolan (.362), third baseman Dayniera Artis (.505) and Arianna DeNitto (outfield, .350), will be the team captains. Other returning players include first baseman Lucy Grant, who batted .529 last season and had 37 RBI and second baseman Jillian Howe, who hit .354. Bevino is also looking forward to the debuts of freshman pitcher/outfielder Breanna Brown and junior Tiffany Diao. Losing just one starter from last season, Ludlowe coach Shari Paci is looking forward to having another winning campaign this spring. 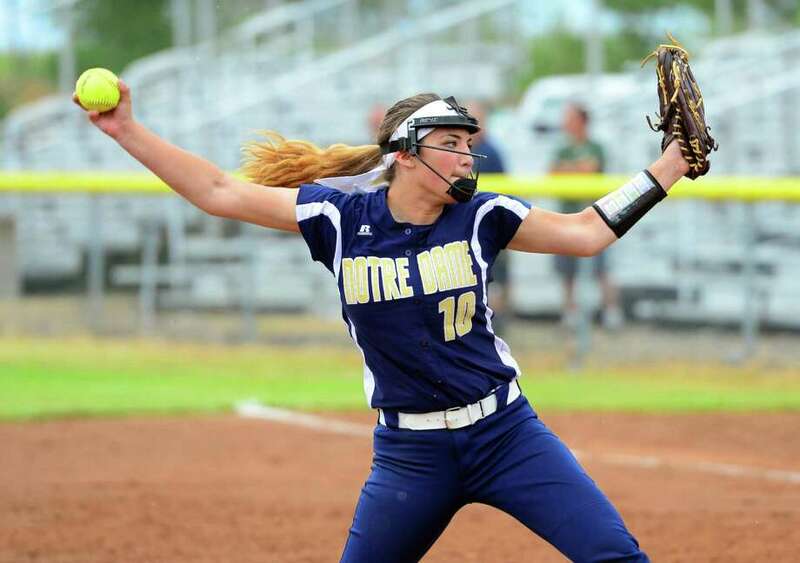 Thanks to having one of the best pitchers in the conference in Brittany Romero, returning for her senior year (she’s headed to Central Connecticut in the fall), the Falcons will go as far as Romero can take them. She finished with an 11-7 record and 138 strikeouts last season, along with battling a robust .486, hitting five home runs and stealing nine bases. Shortstop Neiza Capeles, who batted .397 last spring, also returns along with third baseman/designated player Megan Szuchman (.323), outfielder Luka Holdereid and outfielder/utility Molly Reynolds. Romero, Calpeles and Schuzman will be tri-captains. Ludlowe went 13-7 in the regular season, lost in the FCIAC quarterfinals and defeated East Hartford in the opening round of the Class LL tournament before losing to Westhill 3-2 in the second round. The Falcons finished at 14-9. Despite not having a single senior on the roster, there are high expectations at Warde, who went 14-6 in the regular season (12-4 FCIAC), losing in the FCIAC quarterfinals and then falling to Wilton 4-2 in the opening round of the Class LL tournament. Pitcher Olivia Vadas, who went 9-3 last season, returns, as does second baseman Sophie Sancho, who batted .390 and third baseman Lizzie Kane, who hit .375. Captains for the season will be catcher Katie Goodchild and shortstop Abrianna Natoli. Juniors Julia Warman (OF), Grace Budd (2B/OF), sophomores Tori Lucia (OF), Genevieve Tiago (OF), Amanda Petrizzi (OF), Mary Eliabeth Kane (IF) and Camryn Johnson (DP) all return for the Mustangs.